All of the active skills, passive skills, and runestone modifications available for the five character classes of Diablo III add up to millions of possible character builds. Get a head start on setting up your own with the Diablo III Skill Calculator. A recent addition to the Diablo III community website, the skill calculator lets plan out their characters from level one to level 30. 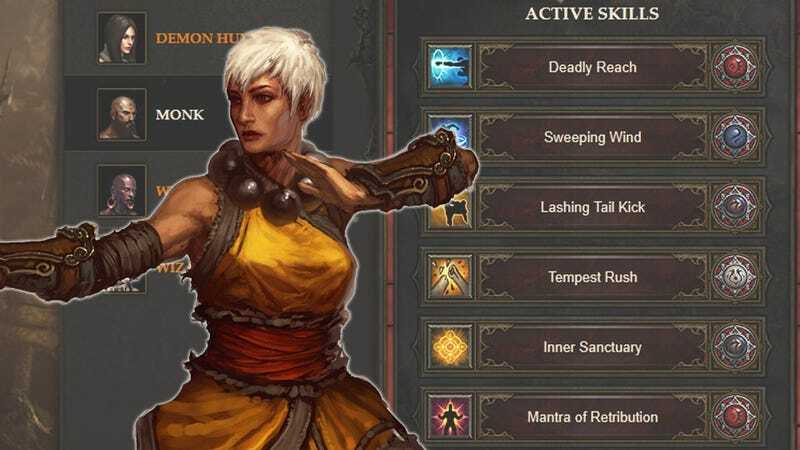 Assign skills, slot runestones to modify those skills, and pick your level 10, 20, and 30 passives, crafting the Monk, Witch Doctor, Barbarian, Demon Hunter, or Wizard of your dreams. Once your build is complete, link it on Facebook or Twitter, where thousands of Diablo fans will tell you how horrible it is. It's always nice to get a head start on being ridiculed. Hit up the link for yours!